Centrally located in the prime business district of Yayuncun, the 315-room Marco Polo Parkside Beijing is two kilometers away from the some of the city’s most vibrant and recognizable landmarks, such as the China International Convention Centre, Beijing International Convention Centre, the 4,000 acres Olympic Park, the “Bird’s Nest” Stadium and the “Water Cube” Aquatics Centre, and the China National Science Centre. Accessible by a quick 25-minutes’ drive from the Beijing International Airport and only a five-minutes’ walk to the Line 5 subway station, Marco Polo Parkside Beijing is also in between two major food streets-Yayuncun Food Street and Jinquan Food Plaza, catering to every taste and palate with over 100 restaurants for you to choose from. 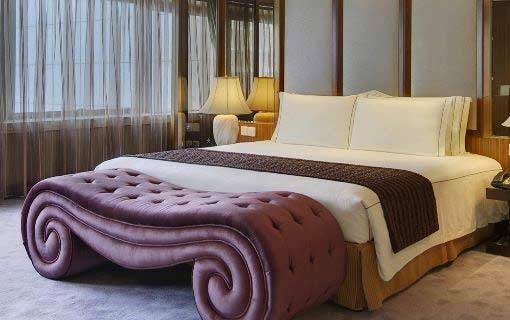 The hotel is also easily accessible to key commercial and IT zones such as Zhongguancun and Wangjing IT zone. Room categories range from Superior to the exclusive Marco Polo Presidential Suite offering a balance of contemporary flair and the technology expected of a modern business hotel. Each room features separate bathtub and large walk-in shower, high speed Wi-Fi Internet access, Flat-screen TV with bountiful entertainment options, complemented by smart and intuitive service. 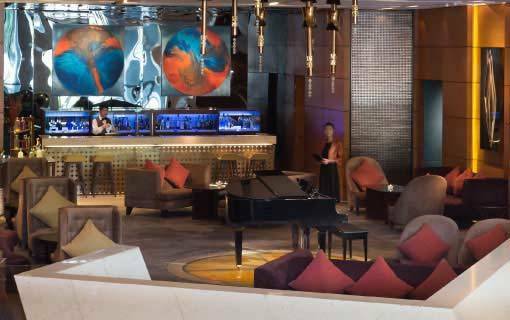 Marco Polo Parkside Beijing offers a diverse range of eateries for your culinary enjoyment. Café Marco serves an all-day sumptuous East meets West buffet while the Lobby Lounge provides a cozy setting for afternoon teas and signature cocktails. For a taste of traditional imperial Chinese cuisine, Beijing Palace is the place to go to. Matsuko is widely known for its contemporary Japanese cuisine. Gear up for the day ahead or re-invigorate yourself after a long day by taking advantage of our superbly equipped fitness center or take a dip into our indoor heated swimming pool with sky windows, followed by a series of calming whirlpool bath and saunas. The 4th floor is also home to one of the most exclusive Spa in town. Designed to rejuvenate and revive, our exclusive spa treatments offers a peaceful and pampering escape from the hustle and bustle of the city. 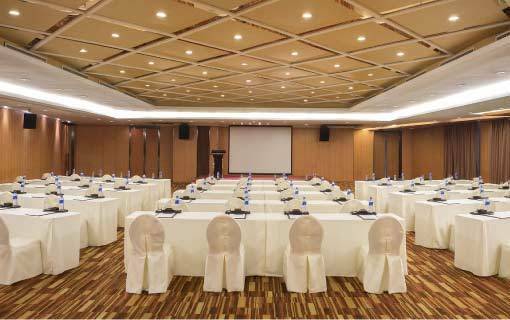 If a place to greet, meet and eat is what you are looking for, then the meeting venues at Marco Polo Parkside Beijing is definitely one of the best options in town, from intimate cocktails to glamorous annual dinners, our team of professional event planners are there to meet your needs. The hotel houses ten function rooms, two ballrooms and two VIP dining suites, each with natural daylight, flexibility and sound technical infrastructure. A tranquil haven of comfort, our well-appointed rooms and suites satisfy the most discerning travellers. Experience the perfect backdrop for your next meeting or event, with exceptional venues and outstanding service at all times.